Coming from a climate that actually has seasons, I’ve always been a fan of the outdoor dining and shopping scene in L.A. Probably too much so, as having a glass of wine with lunch in such close proximity to Anthropologie always ends badly. But fabulously, wardrobe-wise. At least until all that embroidery disappears because you really hate washing clothes by hand. 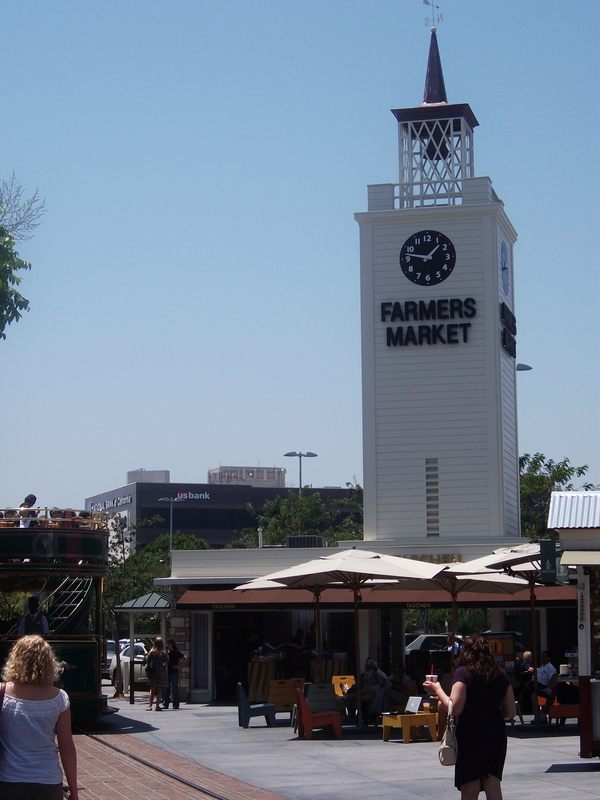 Basically, I spend too much time at The Grove at the Farmer’s Market, and after I was diagnosed I was a little freaked out by any of my old haunts that involved food. 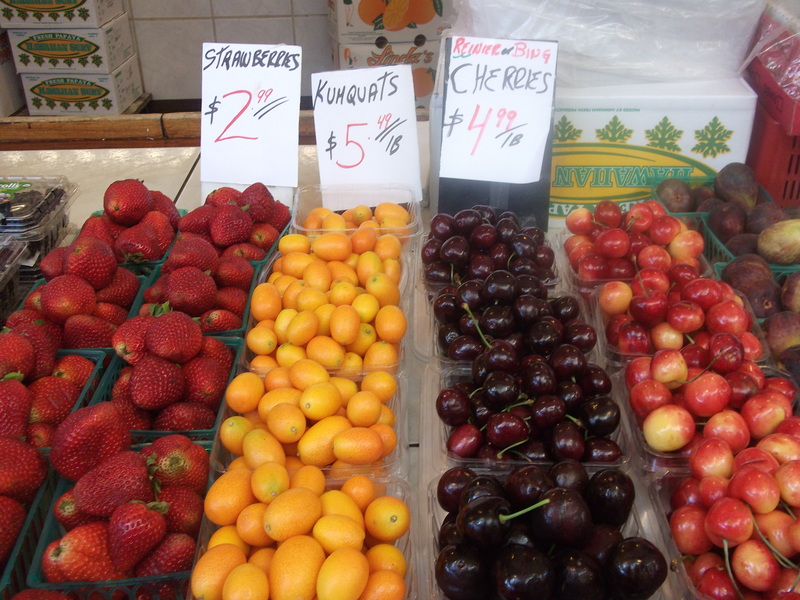 But it turns out, there are a lot of awesome g-free options right there in the original Farmer’s Market of L.A. Whoo-hooo! Follow me, I’ll show you how to get your gluten-free eat on in many ridiculous ways. I’ve been searching for gluten-free pizza ever since I woke up from anesthesia and got my diagnosis. I have found a few around L.A. that are pretty amazing (Lucifer’s, of the college-dorm decor circa 1993, but super tasty pizzeria is my fave thus far), but having eaten many a slice al fresco at the Farmer’s Market, I was glad to know those days were not over. 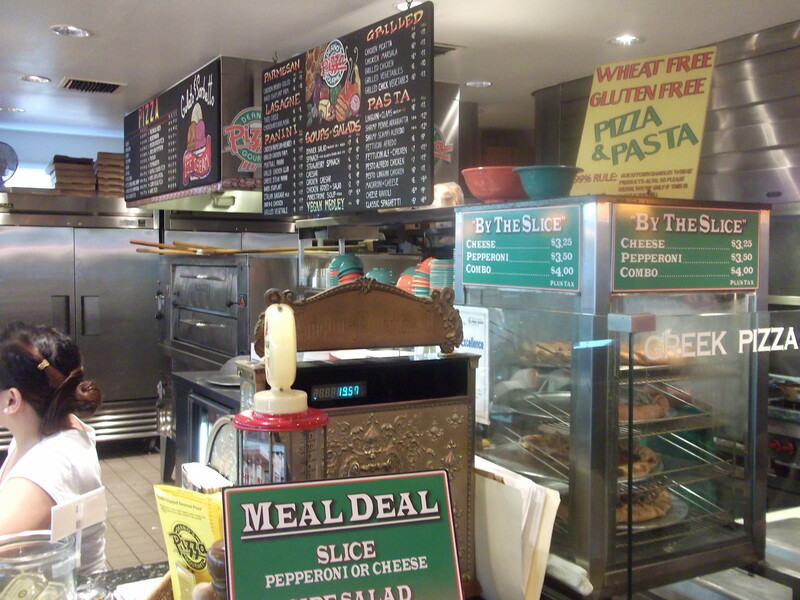 This is Deano’s Gourmet Pizza where you can not only grab a small gluten-free pie*, but gf pasta as well. 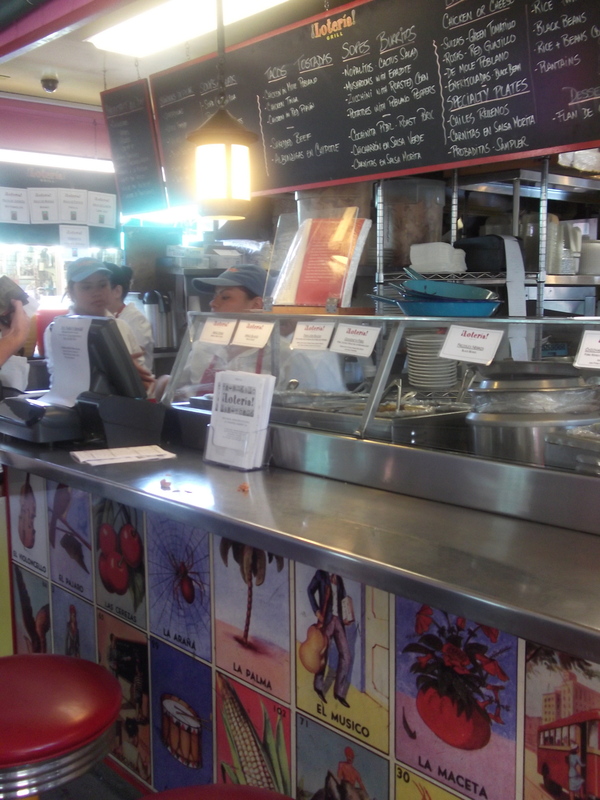 I’d never ventured to this corner of the market before my diagnosis, but now it’s a frequent stop. You know what else is over there? A Starbucks and a bathroom. Who knew? Not me. Need some rad poultry that’s naturally g-free? 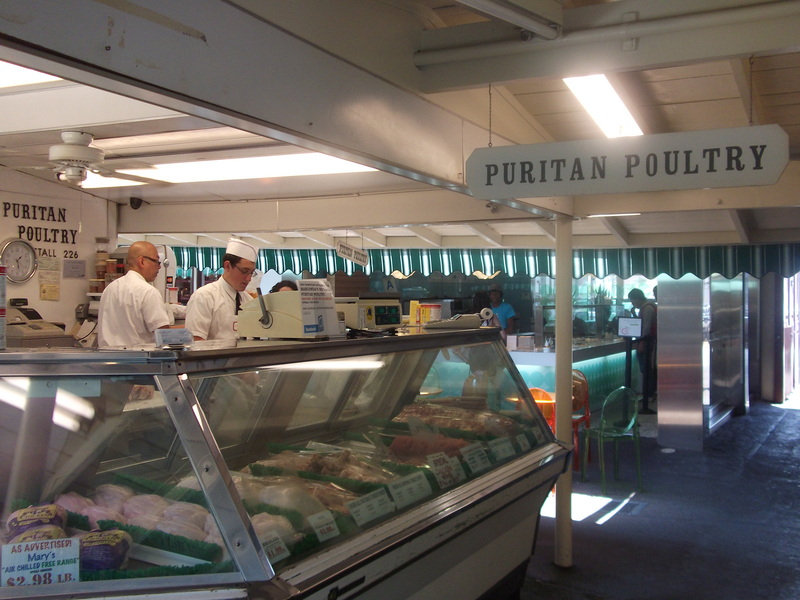 Puritan Poultry is your spot. Because I just like the name, their font, and their little hats. Now this is super cool. 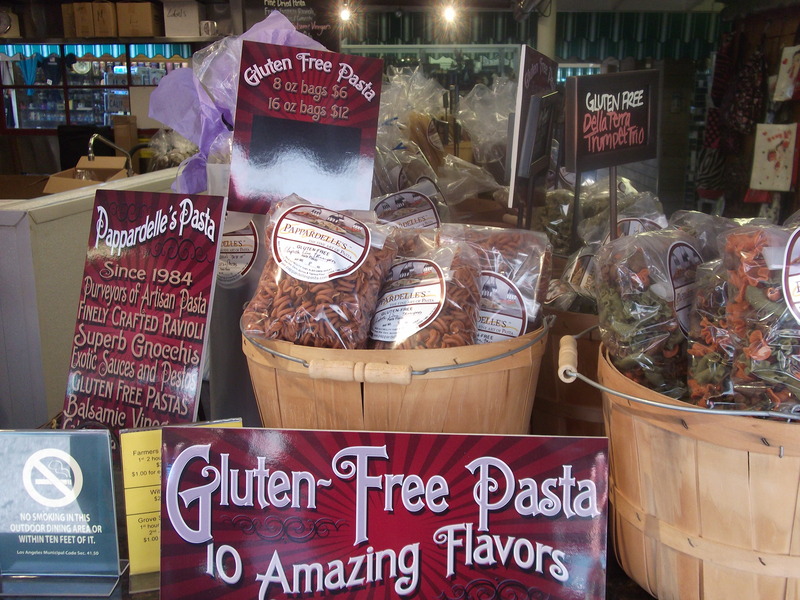 I stumbled across Pappardelle’s like five minutes after I was diagnosed, and I always try to grab a bag of their gourmet gluten-free goodness when I’m there. They make super fun varieties of trumpet, fusilli and penne. Like say, their chipotle lime trumpet, or my personal favorite the basil garlic trumpet pasta. Throw some naturally gf cilantro and roasted poblano chile pesto on that and it’s a party in your mouth. And grabbing some in-season fruit from the stand is also a winner for a gf gal. Especially when you see what I’m going to shove down my gullet next. Who am I kidding? 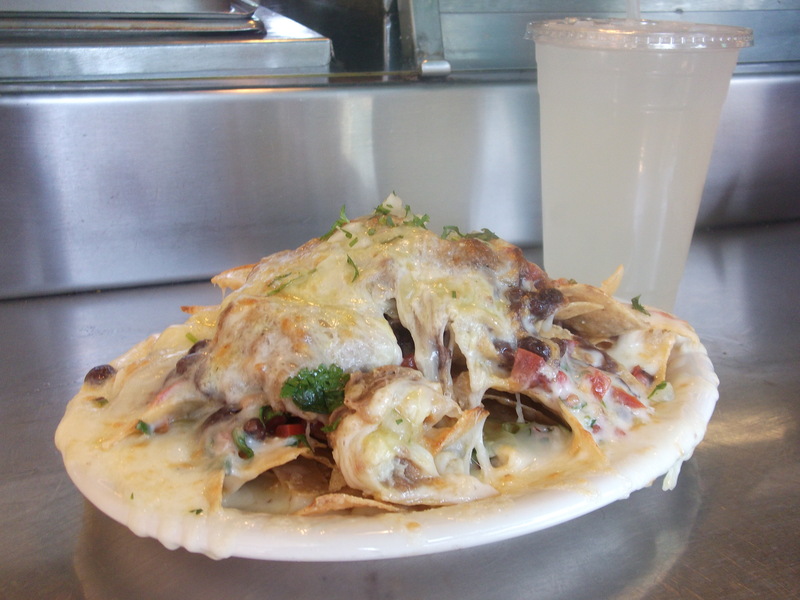 Before my diagnosis, I would kill for some shredded beef nachos from Loteria. Thank god I can still eat them**, and much more at my favorite taqueria in all of L.A. Just so you’re clear on why I love these so much, here’s a gooey picture of goodness. Right? If I were Rachel Ray I’d say yum-o. But I’m not, so I totally won’t. Limeade is pretty darn good too. 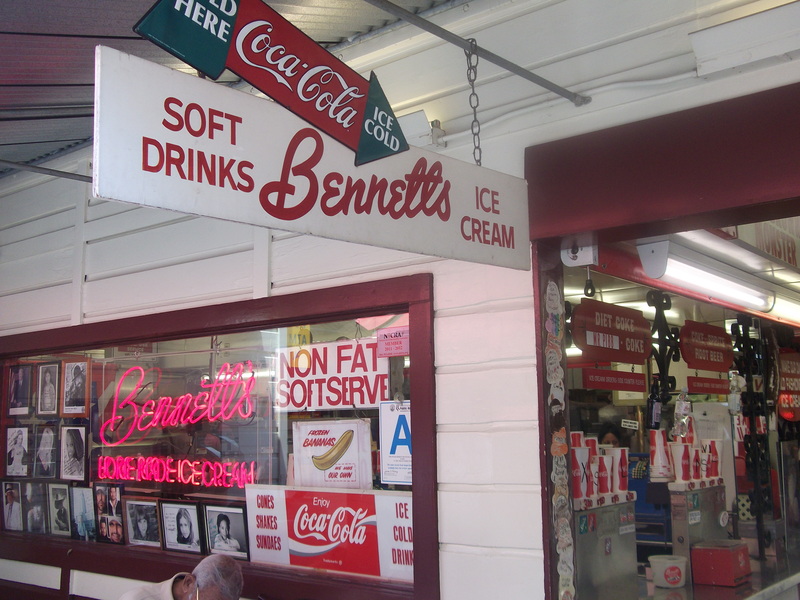 You can’t leave the Farmer’s Market without a milkshake (no cookies, caramel color or other mixins) from Bennett’s. Or rather, you can, but you’ll regret it on your death-bed. Unless you’re dying of “too much ice cream” disease. In that case, skip Bennett’s. If you can still waddle around, head over to The Grove and shop until you really feel like a bloated capitalist. Hey, as long as it’s gluten-free, amiright? *I got sick the last time I had pizza here. Bummer. I think they must have cooked it on a contaminated board, because they usually take longer with the g-free stuff to make sure it stays g-free. This time, it was not so awesome. Tags: gluten free diet, gluten free dining, gluten free los angeles, gluten free restaurants. Bookmark the permalink. I just discovered your blog, and am so happy I did! I’m moving to LA next week and have been scouring the internet for info on gluten-free friendly places! Suzie! Welcome to LA. I moved here from New York a year ago and feel very lucky to be in a gluten-free friendly city. Thanks for reading . . . I’ll be reporting from the trenches. I haven’t seen any at that particular Farmer’s Market, but I’m going in about an hour and I’ll keep my eyes peeled. In the meantime, there’s a Whole Foods right across the street where you can pick up Udi’s, Rudi’s, and Kinnickinick. I’ll search for you today! No gf bread at the Farmer’s Market. It’s all Whole Foods across the street! I absolutely love Deano’s pizza at the 3rd Street Farmer’s Market. The cajun gf pizza is awesome. Plus there is a wine/beer(none gf) next to it.